The increasing number of internally displaced persons, IDPs, owing to the crisis in Cameroon, have stimulated in the general population, the urge and willingness to help the needy, which on its own, is been curtailed by the limited means to support, as well as the environment surrounding such activities. As IDPs continue running away from their homes and villages that are anything but hospitable and livable, local groups, church communities, NGOs and people of goodwill have in various ways donated basic items, opened up their homes, while some NGOs have opened vocational training centres to trained some of the IDPs on handworks which they can do, in order to secure income that will in effect, sustain them as they strive to regain control of their lives. In major cities like Buea, regional capital of Cameroon’s Southwest region, some of the IDPs have elected residence there, given that the security challenges are better than the interior communities where they are escaping from. While in Buea, some major and mainstream churches have donated in kind and cash to help ameliorate the situation of the IDPs living amongst them. 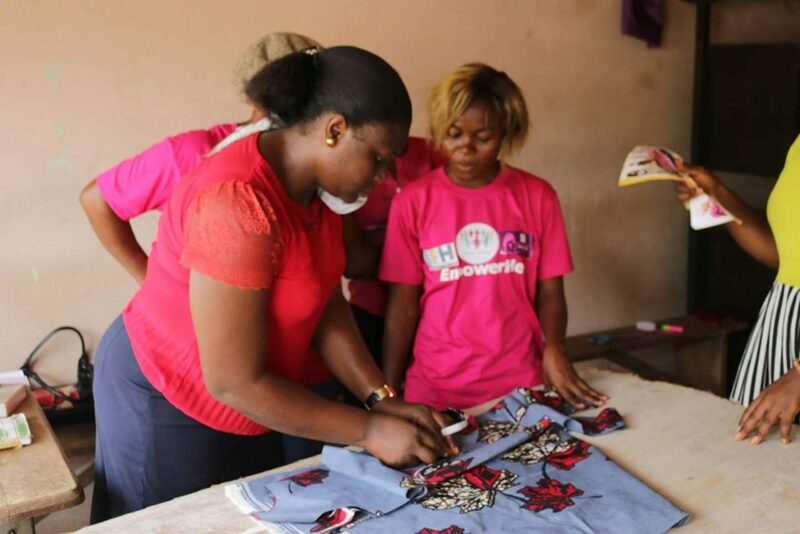 In the area of skill acquisition, NGOs like the Centre for Youth and Family Empowerment, CEYOFE, of Mrs Eteki Stella Dopgima, have launched projects like the EmpowerHER campaign aimed at training and empowering women and girls affected by the crisis. In one of such projects to train IDPs, especially women and girls, she pointed out the adverse effects and challenges brought about by the crisis, noting that they are far-reaching, prompting her organisation to embark on a skill acquisition project for victims, so as to empower the selected women and girls in order to discourage financial dependency which exposes girls and women to people who take advantage of their situation to victimise them. Dr/Mrs Titanji, one of the stakeholders of the project assured the beneficiaries of #EmpowerHER project that as they learn their sewing, fashion designing, and hairdressing, they will also be taught ways to make money out of their handwork. A beneficiary of the project, Madam Emelia Itale, an IDP from Konye, narrated that some of them, IDPs, have lost their homes and what they made a living from, due to the crisis and have wondered about with nothing to do, and without knowing where some of their children are. Though an elderly woman in her sixties, Mrs Itale said she will learn tailoring so as to be able to make a living, to sustain herself and some of the children she succeeded to escape with, from the war-torn Konye. One of the NGOs in the Southwest also championing the EmpowerHER her campaign, is BAWAC, working in partnership with Betty fashion. The project too trains IDPs in acquiring business skills in the fields of tailoring, catering, arts and crafts, digital marketing and interior decorations etc. In another similar project, the Rural Women Development Centre, RUWDEC, led by its Managing Director Nyandoh Paho Tadfor, led a screening and sexual health campaign to IDPs currently residing in Tiko Subdivision, the border municipality between the Southwest and the Littoral region. After screening and educating the IDPs, the centre later returned with dignity care packages a week later, and donated them to young girls, as well emergency maternal care kits for displaced pregnant women, and detergents for all. After providing what it could for the women and girls, RUWDEC was once more presented with other challenges, having to do with the fact that the donated items were not sufficient for all. They only promised the women that if they get donors, more will be brought in to aid their struggles in such challenging times. Some groups like the Southwest and Northwest Women Taskforce have on various occasions, brought in humanitarian and basic needs like clothing to IDPs in some parts of the regions, where displaced persons are concentrated. Mainstream churches like the Roman Catholic Church, the Presbyterian Church in Cameroon, the Muslim community and other religious bodies have on their own part, donated to IDPs who live amongst them. They have also carried out group donations and reach-out donations to communities which are hard-hit by the crisis. In most cases, the issue has been the limited resources of those within the less affected communities willing to help, given the crumbling economy that has drastically reduced business flow and crumbled markets. Most people in the formal, as well as informal job sectors, have lost their jobs as enterprises fold up, given the unfriendly business environment that hardly permit for profits to be made.